By Michael Blanding for Fordham News (20 in their 20s feature)on June 29, 2017. In April, David Quateman filmed a documentary about a psychiatric hospital in Buenos Aires where patients are encouraged to express themselves to the outside world. They take part in a patient-run radio show and paint street art on the walls—“a radically different approach” compared with methods in the U.S., Quateman says. Quateman loves to connect audiences with realities far different from their own by shooting documentaries. He first pursued this calling at Fordham, where he double-majored in visual arts and communications, and got a break last year when adjunct professor Anibal Pella-Woo invited him to contribute to an exhibit on asylum seekers in New York City. Helping to make a video for the exhibit, Quateman interviewed several refugees, including a 19-year-old survivor of the Egyptian revolution and a Nigerian man who hadn’t seen his wife and young daughter in three years. “It was amazing having the privilege to watch these people and try and understand what they are going through,” Quateman says. 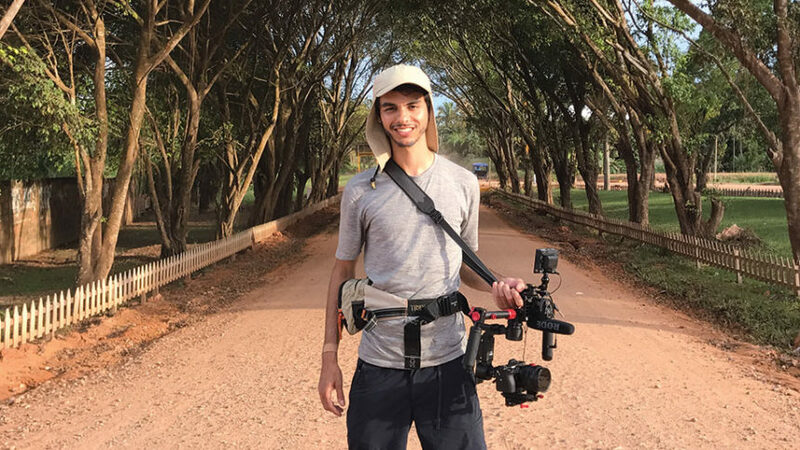 After graduating, he teamed up with Alexander Fish, a Princeton University student, for a project on mental health treatment methods in South America. They traveled to the hospital in Argentina and to Peru, where they filmed a healer in the Amazon who uses ayahuasca, a hallucinogenic mixture, to help patients transform their thinking. They spent days on a boat in 100-degree heat to get the story.